We are always looking out for new artists and want to display work which is original and individual, and is a viable alternative option for our customers, rather than mass produced items. Works could be suitable for display in the garden or have some connection to the garden. Work for sale should be of professional quality and suitable for its purpose, and should have artistic or design merit. A gallery as part of a garden centre is a great way to bring art, and individually crafted products to a wide range of people who would not normally visit an art gallery, as well as giving local artists an outlet for their products. We have held regular exhibitions since 1995 when we opened our first art gallery. Then in August 2015 we opened a new gallery. 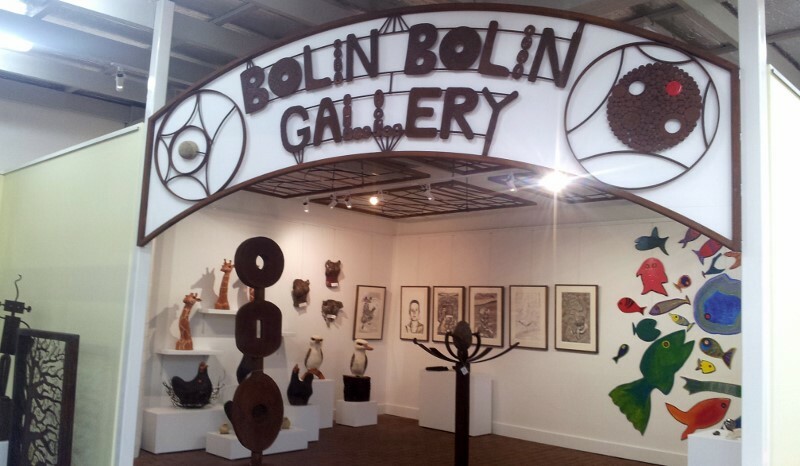 The Bolin Bolin Gallery – is in the centre of the Bulleen Art & Garden shop and obvious from when people enter through the new entrance. – Have a solo exhibition. – Have an exhibition with others you know. Do you want a solo exhibition, with colleagues, or a group.Or if you are not likely to have enough work to fill the space we could possibly exhibit your work with another artist(s). let us know times when you would not be able to exhibit, as well as your preferred exhibition dates. Please be as flexible as possible, as this means we are more likely to be able to offer you a space . We make an effort to include local art and craft throughout the centre as well as exhibitions in our gallery space – in the Garden Gallery with ongoing displays of garden art; in the shop area near the gallery; in outdoor sculpture garden areas, and as features in displays in the nursery areas, such as plant bench endcaps. For more information, Please email meredith@baag.com.au or mail to Meredith Plain, Bulleen Art & Garden, 6 Manningham Rd W, Bulleen. Or phone Joe Raneri or Meredith 8850 3030 on weekdays. Approx one third selling price.